Q1: I made a video by Sony Vegas Pro 15, and I want to upload the edited video to YouTube, so how can I convert VEG to MP4 first? Does anyone know how to do it? Q2: VLC cannot recognize my .veg videos, so I’d like to convert .veg to MP4, any idea? Thanks! A: Actually, VEG files refer to the project files for video editing using Sony Vegas. They are not the real videos that can directly be uploaded and played on devices. So, for solving your problems, this article will share you the simplest way to convert the VEG to MP4 using Sony Vegas. Now, let’s go to this step-by-step guide how to convert .veg to MP4. Are you eager to find a powerful video converter for solving all video incompatibility issues? Here, HD Video Converter Factory Pro allows you to convert exported videos to other video formats including all hot video formats like AVI, MKV, MOV, 3GP, etc. Don't hesitate, download it now. How to Convert .veg to MP4 with Sony Vegas? 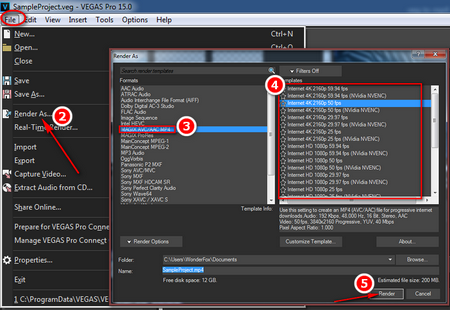 Note: Vegas Pro is not a free tool, you can choose its trial version to free use for 30 days. Step 2: Launch Sony Vegas and it will be used as a VEG to MP4 converter. Click Open to load your source .veg video files, after loading files, you can edit your video by dragging the file to the timeline. Step 3: Once you've finished editing, go to File and select Render As…, and then a new window will pop up. Under Output File, select where you want the file rendered or exported to, and choose a name. Here you should select MAGIX AVC/AAC MP4, and you are allowed to choose different resolutions and frame rates such as Internet HD 1080p 29.97 fps. Finally, click Render button to export Sony Vegas to MP4. After you getting the exported .mp4 files from Sony Vegas, you can upload these videos to YouTube easily and play them on kinds of media players. 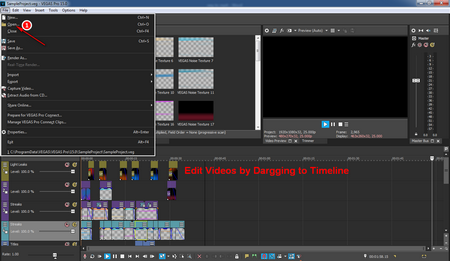 By the way, Sony Vegas Pro MKV issue has been solved, anyone who wants to solve this problem can take a look. After the text description, in order to make you better understand how to export Sony Vegas to mp4, I’d like to insert a tutorial video here, Sony Vegas Pro 12 is used in this video. Although Vegas Pro has been updated to version 15 and its interface has change slightly, the steps are basically the same, so, this tutorial video is equally useful. Enjoy it! VEG file is a video project created by Sony Vegas Pro, a mature video editing and disc authoring application. It contains the timeline with audio and video tracks, transitions, text content, special effects, and project media references. 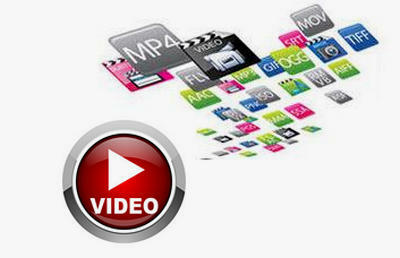 VEG files can be exported to a variety of digital video formats, including PSP and IPOD, etc. And they can be burned on DVD and Video CDs using Vegas and DVD burning software.